Patty, tell him how you really feel! This is the best story I’ve heard today. There’s only a few people in this world that I’d be more afraid of infuriating than Miami Heat President Pat Riley. I mean, the dude could stare out your soul and crush it without saying a damn word. I couldn’t imagine what it’s like to get on his bad sad. And I sure as hell don’t want to find out. But one guy who’s unfortunately experienced it more recently than anyone else is Minnesota Head Coach and Prez of Basketball Ops, Tom Thibodeau. Word has it, Thibs tried getting a little greedy in a trade for Jimmy Butler that would have sent the disgruntled star off to South Beach. According to reports, Riley straight up hung up on Thibodeau. But that wasn’t before Pat called him a mother fucker for trying to squeeze a little bit more out of the deal. And fair enough, too, when everyone knows that 1. Jimmy carries a hefty salary for the upcoming season, and 2. is a free agent at the end of the year. 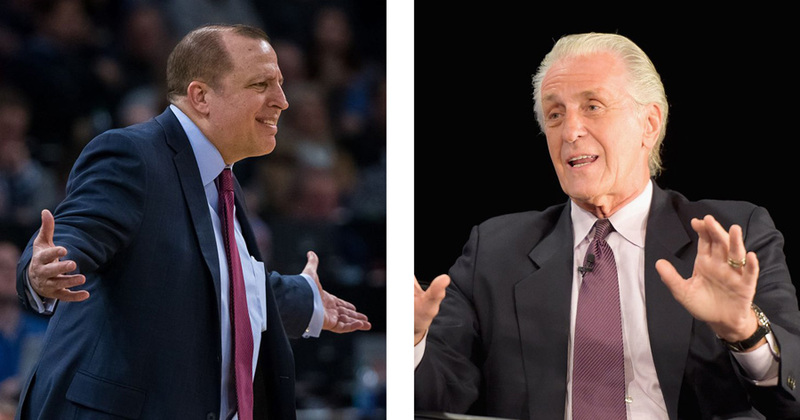 Thibs trying squeeze a little more out of it just blew up in his face, and has probably made it impossible to deal with the heat in any other future trade. Pat Riley is not one to try and finesse, he’s made that very clear.